In fact, Campbell actually pulled off two mega overtakes in the closing laps after a late safety car resulted in the race boiling down to a 20-minute sprint for the win. First, he lunged past the Raffaele Marciello at Hell Corner, the Mercedes struggling on worn tyres. 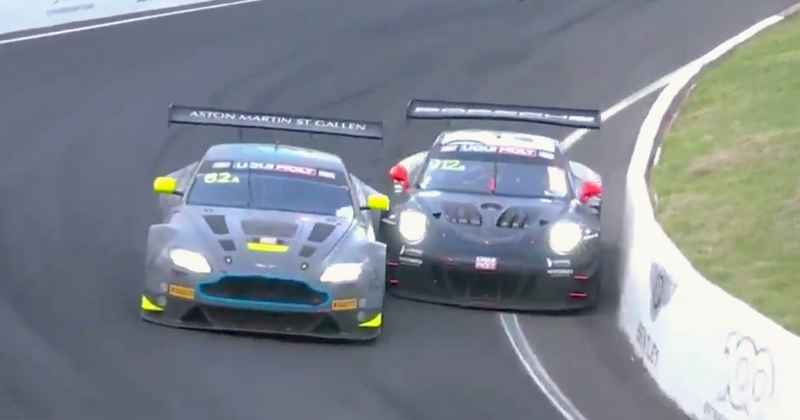 Then, Campbell rapidly closed down the leading Aston Martin of Jake Dennis. He was clearly quicker but with just eight minutes left on the clock, he couldn’t afford to wait for a straightforward opportunity to present itself - not that there is such a thing at Mount Panorama. Instead, he just threw it down the inside of the Aston at Forrest’s Elbow, slotting his Porsche through a barely Porsche-sized gap. Wow indeed! Credit also has to be given to Dennis, who gave just enough room in what could so easily have resulted in race-ruining contact for both of them. Although Campbell went on to win, the result was initially under review for an earlier incident where he knocked Chaz Mostert’s BMW off of the track. Thankfully no action was taken, and Campbell got to enjoy victory alongside teammates Dirk Werner and Dennis Olsen in what was the first Bathurst 12 Hours win for Porsche. And what a way to do it!